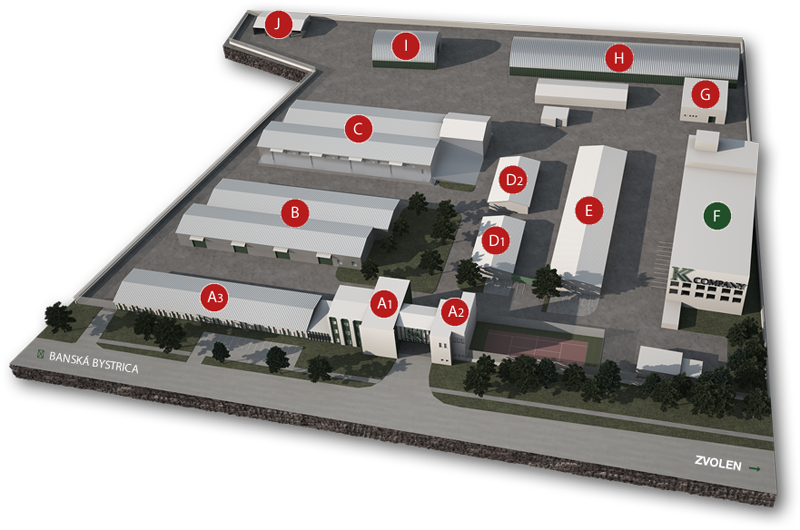 An immense advantage of this logistics park, especially for the companies with the geographical scope of the entire Slovak republic, is its location in the centre of Slovakia. In 1996, the KK Company bought an old industrial park in the village of Vlkanová, situated only 7 km from Banská Bystrica. Over the past 20 years we have rebuilt these premises into a logistics park and have offered a strategic long-term partnership to several companies. If you have any questions, do not hesitate and contact us. We will gladly answer you. © 2015 KK Company. All rights reserved.